I love the smell of shawarma meats sizzling and drool when they shave it off the spit and serve it up in a pita. Want to make your own tasty meat at home? 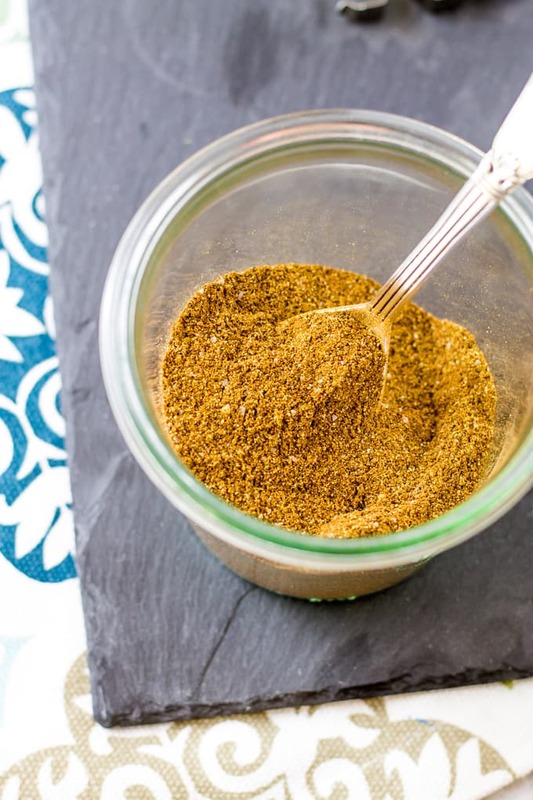 Try this homemade shawarma seasoning mix to get you started. Vertical meat stacks not included! The last three years the kids and I have been traveling to AZ when the hubby worked there for a few weeks in the summer. Phoenix has a great variety of restaurants representing many ethnic groups, but my favorites are the Mediterranean restaurants and their shawarma seasoning! Vertical stacks of meats, whether it be chicken, beef, or the ever delicious lamb, slowly circling and getting all toasty on the outside. I could watch the spit spin round and round all day long. My drooling gets a little out of control so the owners always tell me to scram after an hour or so. I have always wanted to have a jar of the amazing spice mix that they use to marinate the meats before stacking them for cooking. After getting rebuffed by the restaurant owners when I asked their recipe, I started to search the interweb for one. Really just Pinterest. Where else do you go to find a great recipe? 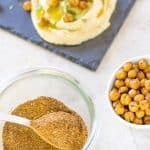 I stumbled upon ONE pin for homemade shawarma seasoning mix. Just one!! A few clicks later and I was face to face with the recipe. Time to make it. I whipped out my spices, grabbed a jar, and made a batch. A little too intense for my Southern American palate as I am sensitive to cinnamon and cloves so I started reworking it to my liking. 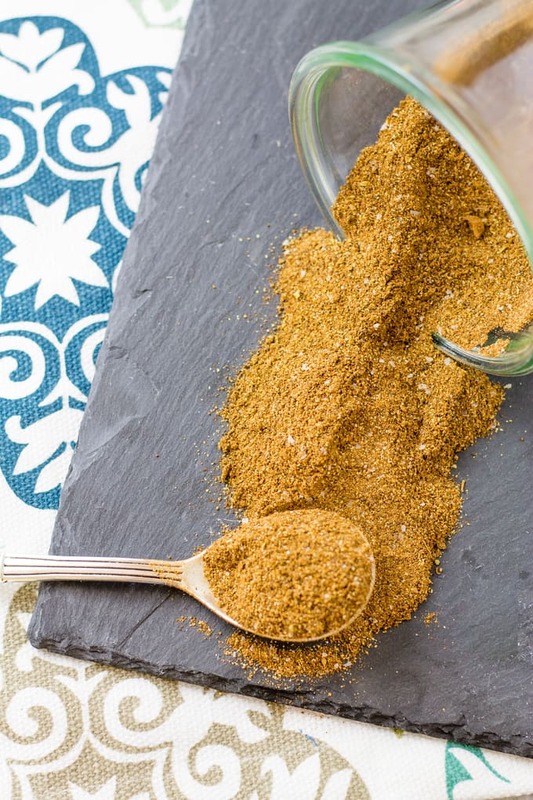 I make my own Greek Seasoning and Chai Spice for the same reasons and love making spice mixes that suit my family and their taste buds. After removing a bit of the allspice, cloves, and cardamom, and adding a little more salt and oregano, I found a mixture that was more to my liking. 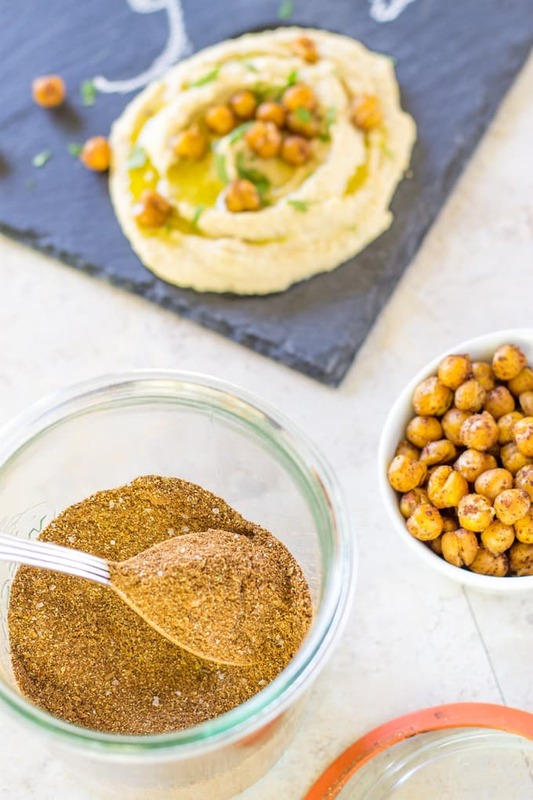 I oven roasted some chickpeas with the shawarma seasoning like my pan-roasted chickpeas with ghost pepper salt. So tasty!! The oven roasting doesn’t make them as crispy as the pan roasting, but I have plans for them anyway. Come back tomorrow and grab that recipe!! This sounds so intriguing to me. I love the smell of the meat from Mediterranean places. Me too! 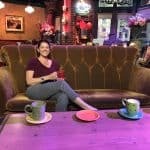 Now you can make it at home!